Mauricio loves remote control aircraft. When I bought a model plane for my son he was the first round to see it, he told me how to strengthen the wings, and recounted tales of daredevil antics and crashes in the heart of South America. Now he wants to get a license to pilot a drone, because now in Italy where he lives you need a license, which is not the case in the USA. Drone use is becoming ever more common, but there have been a few pieces in the press about people getting into trouble for drone use. In October, a European football qualification match was abandoned after a drone carrying inflammatory language on a large tail was flown over the pitch. It’s appearance caused a scuffle between players that got so out of hand that the referee had to lead the players off and later abandon proceedings. In what I might see as a copycat incident a week later, a man was arrested after a drone was seen flying over Manchester City’s stadium during a game. Read more about these events on the BBC. This week reports abound of a near miss at Heathrow airport in London involving an unidentified drone. An Airbus carrying 180 people almost collided with the drone that is too small to appear on radar. Police are searching for the pilot. This article describes the event and goes on to explain flying rules in the UK for such machines. The owner of the drone will be in serious trouble when the police catch him, and could face fines of up to half a million pounds. In a related incident police are investigating reports of drone flights over a nuclear power station. Once again in October but this time in France, police received reports of a series of drone flights over nuclear power stations. The flights were at night, and seem to have been coordinated, and this fact has set a few alarm bells ringing with the French authorities. Were they spies, terrorists, anti nuclear campaigners or just people having a laugh? Who knows? Read more here. Drone use is becoming ever more common and the trend is bound to increase, but given the problems above this growth is certainly not unproblematic. In a previous post I wrote about privacy implications, and earlier this year Christopher wrote about Amazon’s possible drone delivery service. Find the links here. On a scientific note NASA are developing a biodegradable drone. It is made from mushroom and cloned paper wasp spit, and the materials used are hailed as possibly offering a new substitute for plastic. If the machine crashes it simply biodegrades leaving no trace, so could be used in sensitive areas without fear of contamination. Certainly one to look out for. Hi Jonny, the mushroom and spit drone is a great idea for the body of the drone however they don’t give any information about what the engines or propellers are made from. If they are regular materials then I guess that they will still make an impact on the sensitive areas. The Heathrow incident is a real worry. 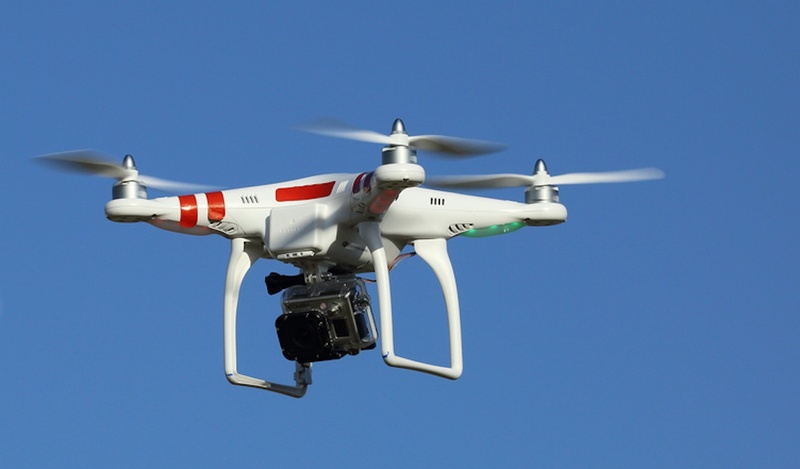 With the increased availability of drones there will have to be an increase in regulation. Would drones work on other planets/objects? Imagine if we could send a solar powered drone to the Moon – with no atmosphere, the power it would receive would be much more than on Earth, and we could explore so much. My guess is you probably need some sort of atmosphere for them to be able to fly.